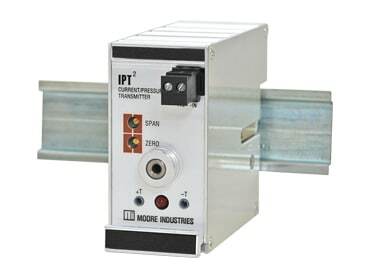 The high-performance IPT2 Current-to-Pressure (I/P) Transmitter converts a current signal to a pneumatic signal so that an electronic-based system such as a DCS, PLC, or PC can control a pneumatic actuator, valve, or damper drive. Available models accept a wide range of current inputs. The IPT2 is available in a compact, 40 mm wide aluminum housting that can be conveniently snapped onto a standard mounting rail. The IPX2 are 2-wire (loop-powered) I/P transmitters accept a current signal (such as 4-20mA) from a DCS, PLC or PC-based control system. They convert the current signal to a pneumatic signal (3-15psig, 0.2-1bar, 20-100kPa, etc.) 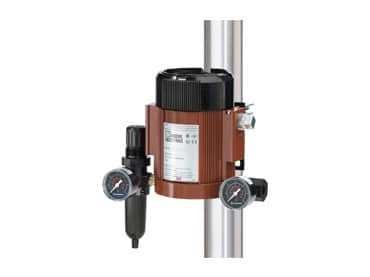 to provide precise, proportional control of valves, actuators and other pneumatically controlled devices. The economical IPH2 (Type 4X) is watertight, dust-protected, and resistant to corrosion and chemicals. In addition to meeting Type 3X/4X requirements, the IPX2 can be installed in explosion proof environments.